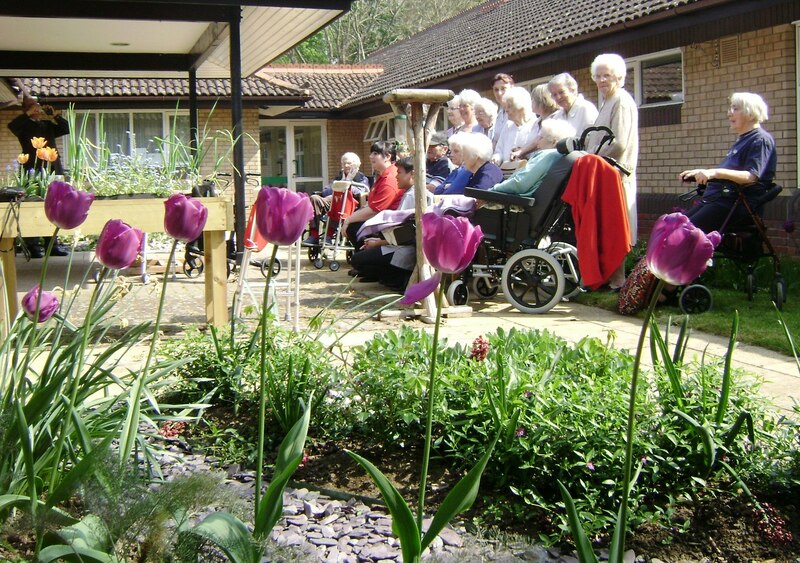 Commissioned by the Care Trust to design and landscape a garden for elderly residents with special needs. The garden replaced an existing garden and large water feature that had become dilapidated and was no longer safe for the very elderly residents to visit. The garden had to meet the very special needs of elderly people with mobility and sensory impairments. So for this special project we joined forces with Jennifer Caywood of Space 2 Grow, using Jennifer’s experience with therapeutic horticulture (Visit www.space2grow.biz ). We also engaged Andrew Sacha of Vineyard Dynamics to construct and plant the new garden. Andrew respected the particular requirements of the care home activities and carefully planned his arrangements for access and construction (Visit www.vineyarddynamics.com ).